It is an agreement that parents make outlining the custody of their children. A typical parenting plan specifies parenting time (also known as visitation) and who has the responsibility for the major decisions regarding the child’s education, health care and religious training. Plans also specify the specific procedures that parties must follow when one or both of the parties want to change an agreement or when a dispute arises. The are also known as “Joint Parenting Agreements,” “Parenting Agreements,” or “Parenting Judgments”. Parenting Time, also known as a Visitation Schedule. This agreement should include the regular schedule, as well as when each parent has parenting time during school breaks, holidays and summer vacations. The plan should be detailed, defining when a holiday starts and ends, and who is responsible for transportation at the beginning and end of the non-custodial parent’s parenting time. Payments. In divorce cases, financial matters are generally handled in what is known as a “Marital Settlement Agreement.” However, in cases where the parents were never married, financial matters should be addressed in a parenting agreement. This agreement should include activities, education, child-care, and medical and dental insurance. Procedures for Changes and Notifications. A parenting plan is not static, as children get older and life happens, the parenting plan may become outdated. An agreement should provide guidance on how a parent will notify the other parent when there are changes in jobs, addresses, phone numbers, school activities and life events. Residential Custody. The parenting plan should specify who is designated as the residential parent. This is the parent the child spends more than 50% of the time with. If the parents split their parenting time 50/50, one parent should still be designated as the residential custodian for school district purposes. Legal Custody. The parenting plans should specify whether the parties have joint custody or whether one parent has sole custody. Joint custody requires the parties consider each other’s opinions on the major issues, such as healthcare, education, and religious training. Sole custody does not require agreement for the major decisions. Right to Information. The parenting plans should specify that both parents have the right to school records, medical records, and notice of all parent-teacher conferences and extracurricular activities. Dispute Resolution. Joint custody requires that the parties attempt mediation before resorting to litigation. The parenting plan should specify the procedure for resolving disputes to prevent litigation. Removal. Parties agree on not moving the child out of state without consent of the other party or court order. Some parties negotiate a mileage distance for how far the custodial parent can move with the child before coming to court. Basic Behavior. The parenting plan can include various instructions for how the parents and third parties must behave around the child. For example, the child should never be used as a messenger for conversations that should be had by the parents and the parents should never speak poorly of the other parent in front of the child and should not allow third parties to do so, either. There are a lot of basic elements in a parenting plan that will be similar from agreement to agreement, much of it is an explanation of your legal rights and responsibilities. However, the details of your parenting plan will be negotiated and drafted to best suit your family’s individual circumstances. We offer free consultations and can review your parenting agreement. If it is now outdated or there has been a change of circumstances, you may need to file for a modification. Decisions are made by those who show-up. ~~President Josiah Bartlet, The West Wing. This is analogous to the practice of family law in that you’d be amazed at how many case outcomes don’t turn on some grand legal argument or some astonishing factual admission, nope, many, many cases are won or lost just by showing-up and actually participating in a case (or lost by not showing-up). We lawyers spend a lot of time analyzing case law and strategizing how to get the best results for our clients…that’s a what good lawyers do. But I’d estimate that 10%-20% of cases are won simply by one party taking initiative and one party doing nothing. Client Wins Custody Change When Former Husband Gives in at First Court Date. We recently represented a mother of two adolescent girls who were living primarily with their father. The father had remarried and was now living with a new wife and several additional step-children. Our clients two daughters had been depressed and one of them had even gotten involved in some cutting of her wrists…so pretty serious stuff. We thought we had a pretty good case although changing custody of children requires you to meet a pretty high legal standard. Well, we drafted a very thorough and probably 50 page Petition to Change Custody, served the father/former husband, scheduled a court date, and….instead of the 6-9 month battle we were expecting the father just GAVE-UP at the very first court date. Permanent custody changed to our client all at the first court date. Client Wins Removal of Son to Missouri. Client wanted to re-locate to Missouri with her high school aged son due to a job change by her current husband. And these cases even favor the non-custodial parent. But after some whining and criticism of our client/mother, the father and former husband barely participated in the court proceeding and ended up signing-off on an Agreed Order allowing our client to re-locate with the parties’ son to Missouri. Client Wins Custody Change When Former Husband Skips Court Dates & Doesn’t Do Alcohol Evaluation. Here our client won custody of her 12-year-old son after the father/former husband basically stopped participating in the child’s life and eventually stopped participating in the court proceeding. Again we drafted a thorough and probably 50 page Petition to Change Custody, served the father/former husband, scheduled a court date. Custody of the son was immediately changed on a temporary basis due to some allegations concerning alcohol abuse on the part of the ex-husband/father. Here the case proceeded for approximately 4-5 court dates over 6 months. But over time the ex-husband/father totally stopped seeing his son, did not complete a court ordered alcohol assessment, and eventually he missed enough court dates that our client was awarded the custody change without getting to a real, full-out custody trial. Give your kid a better life. Improve your financial position by modifying child support or getting your kid the financial resources necessary to go to college. Secure that parenting relationship that your Ex is trying to rip away from you. Start your court case now; just do it! Click to Schedule above (top right) and take action now. According to the 2011 U.S. Census Bureau, over 24 million children live apart from their biological fathers. That is 1 out of every 3 children. In 2002, it was reported nearly 40% of children in father-absent homes have not seen their father at all during the past year. And more than half of all children who do not live with their father have never been in their father’s home. “In the end, that’s what being a parent is all about – those precious moments with our children that fill us with pride and excitement for their future, the chances we have to set an example or offer a piece of advice, the opportunities to just be there and show them that we love them.” President Barack Obama, June 2011. “Any fool can have a child. That doesn’t make you a father. It’s the courage to raise a child that makes you a father.” – President Barack Obama, June 2008. So, to the fathers already actively involved in their children’s lives, thank you, your efforts are appreciated. To the fathers ready to get involved and need help obtaining court ordered visitation or custody, give us a call at (312) 893-5888 or schedule a free initial consultation online. You are the parent of a child or children who are 17-18 years of age. You or the other parent have been subject to a court-ordered child support obligation, divorce, or parentage order. Terminate Child Support in a Timely Fashion. According to Illinois law, child support should be terminated when a child turns 18, 19, or when a child is graduated from high school. In my experience 80%-90% of kids turn 18 and then graduate from high school sometime during the year that they are 18-years-old. Thus, high school graduation is the most common event requiring the termination of child support. Common Mistake: Most people who are not our clients do not file to terminate child support soon enough. If your son or daughter is set to graduate from high school on say June 10, 2013, you should be filing your petition to terminate child support NOW! Courts don’t move quickly. 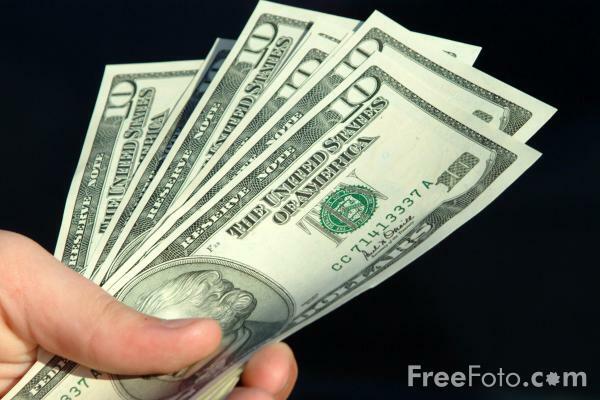 Why pay a couple extra months (or years) of child support when you don’t have to? Pursue Support for Post-High School Educational Expenses. If your son or daughter is planning on attending any sort of post-high school training from a traditional college setting to any sort of vocational school this is absolutely an area where you or your child shouldn’t be stuck footing the bill by yourselves…the other parent has an obligation to financially support the child. The is even more critical when a child is mentally or physically disabled. Common Mistake: In my experience this sort of financial obligation is not as well known as traditional child support and thus is not as likely to be pursued. Also, people wait and then miss-out on any contribution towards earlier periods of schooling…you can only recover these costs from the date you file and thereafter. Money for Summer. Granted my parents were not divorced, but I surely spent my summers during college back at home with the folks living off of their dime (for the most part). And in a typical situation where parents are not living together a child will spend the majority of summer living with one parent. From the very first summer after high school graduation to all those summers in-between each year of school…get the financial support that you and your child are entitled to from the other parent. Common Mistake: In my experience this sort of financial obligation is not as well known as traditional child support and thus is not as likely to be pursued. Or even if a college expense contribution is made, these periods of “recess” are ignored even though they are part of the statute. Act now because with the above items, time is money! http://familylawlifeline.com/2013/03/08/is-your-teen-depressed-after-your-divorce/#comments Fri, 08 Mar 2013 23:58:17 +0000Peterhttp://familylawlifeline.com/?p=816 Divorce can be a very painful and it is very easy to get so wrapped up in your own recovery that you may not see that your children are suffering. Teenage depression and behavior changes after a divorce are quite common. When parents split, unless and until the custodial parent finds another partner to help out with the house and the family responsibilities, that parent is now living the life a single parent. Teenagers are often relied upon to take up adult responsibilities that they did not have before. This may mean babysitting younger siblings, more household chores, or a driving teen becoming the “taxi” for younger siblings. Teens are old enough to understand what is going on and you may have confided in your adolescent some very adult experiences that you are going through. Teenagers may seem old enough to process these experiences, but they still need the safety and relational security of their parents. Where pre-divorce parents were splitting household costs, in post-divorce life each parent is often paying for their own household costs. Just as money may have caused a lot of the problems in your marriage and subsequent divorce, money or lack of money can affect your teenager. Your teen may become angry and resentful or sad and depressed. Teens are already going through immense hormonal changes that makes becoming an adult confusing and scary. When you compound that with a divorce, the emotional highs and lows may be too much for your teen to know how to handle. Most teens will recover from the depression as time passes and your post-divorce family develops a new family routine. Some teens begin to engage in risky behavior and it is important to seek professional help. Turmoil, worry and irritability. The teen may brood or lash out in anger because of the distress he or she feels. Feeling worthless and guilty. The teen may feel stupid, ugly or bad. Drastic changes in appetite or weight. Difficulty falling asleep and staying asleep or sleeping too much. Sluggishness. A depressed teen often talks, reacts and walks slower than other teens. Restlessness. The restlessness brought on by depression may lead to behaviors such as fidgeting or acting up in class. Seek out professional help if your teen is depressed. Don’t talk negatively about the other parent in front of the children. Make sure other adults adhere to this rule, as well. Don’t use your child as a messenger. Don’t interrogate your children with regard to the conduct, habits, social activities, etc. of the other parent. Don’t use your child as a weapon against the other parent. Don’t use your child as a confidant for adult issues that they are not ready to process. If the custodial parent is unwilling or unable to create a safe and nurturing environment, then a change in residential custody may be appropriate. Chicago Family Law Group, LLC can help you with your custody change. Contact us for a free consultation. http://familylawlifeline.com/2013/02/08/a-tale-of-two-fathers/#comments Fri, 08 Feb 2013 22:03:45 +0000Peterhttp://familylawlifeline.com/?p=812Or, the second choice and more blunt title:File Your Case or Lose Your Kid(s) Forever. This article is specifically intended for fathers who are not married to the mothers of their child/children because YOU ARE AT RISK! You face the very real possibility that someday mom’s going to get upset and take-off with your kids halfway across the county or the world. And she (plus your kids) might NEVER COME BACK! I’ve seen it happen from afar and first-hand just recently. Father #1. Father #1 has a 6-year-old daughter with Mother. Father #1 is the majority parent for his daughter and has registered her in school, handles all medical matters for her, and the daughter spends 95% of her time living with Father #1. Mother is involved only sporadically in her daughter’s life and sees her 1 weekend per month. Father #1 is listed as the daughter’s father on her birth certificate. Therefore, Father #1 is the legal father (as well as the biological father) of his daughter. On Thanksgiving Day Father #1 allows the Mother to have the daughter for a few days until the Sunday after Thanksgiving. But, when Father #1 goes to pick-up his daughter on Sunday he learns that the Mother has improperly taken the daughter to Alabama and the Mother says she and the daughter are not coming back. Because Father #1 is the legal father of his daughter (listed as father on her birth certificate) we are able to get into court immediately and have Father #1 awarded temporary custody of his daughter and the Mother is ordered to return the daughter to Father #1. Father #1 goes down to Alabama immediately and with the help of law enforcement regains possession of his daughter within a couple days. Subsequently, Father #1 is granted custody of his daughter for at least the next 10 months and the Mother is barred from any visitation with her daughter. Father #2. Read carefully because Father #2 isn’t much different than Father #1. 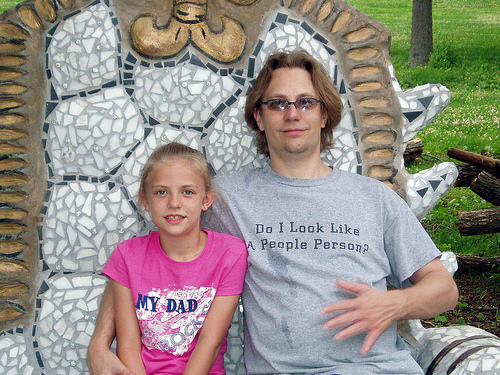 Father #2 has an 11-year-old daughter with Mother. Father #2 is the majority parent for his daughter and has registered her in school, handles all medical matters for her, and the daughter spends 80% of her time living with Father #2. Mother is only involved sporadically in her daughter’s life and sees her 1-2 weekends per month. Father #2 is not listed as the daughter’s father on her birth certificate. Therefore, Father #2 is not the legal father of his daughter (although he is the biological father). On the Wednesday before Thanksgiving Day, unbeknownst to Father #2, Mother shows-up at the daughter’s school, takes daughter home, and has her transferred to a new school in Alabama. Several days later Father #2 learns what has occurred and realizes that his daughter is in Alabama and very upset to be away from her home. Because Father #2 is NOT the legal father of his daughter we can’t go to court and he can’t get custody of his daughter. Father #2 cannot retrieve his daughter in Alabama. As a legal matter he’s no more the father than I am. So he’s got an upset, unhappy and afraid 11-year-old daughter in Alabama who he may never see again. I hope that’s not true and as long as the mother stays put in one place and Father #2 knows where the mother is, then he’ll likely be able to eventually re-gain some parental rights to his daughter if not full custody. But it will take several months. But if the Mother/daughter make themselves hard to find, particularly outside the U.S., then Father #2 likely won’t see his daughter again. The above is based on a true story. It’s pretty stark and dramatic…and thankfully fairly rare. But there’s a similar story that happens tens if not hundreds of times every weekend in Chicago and that’s the scenario where good fathers have their parenting time and relationships with kids “controlled” by the whims of the mother. Mom won’t let you see your son unless you pay her $500. Mom won’t let you see your son because she’s got a new boyfriend who doesn’t like you. Mom doesn’t allow you to attend your son’s sporting events and won’t tell you the schedule and you can’t just get it from the school because you’re not your son’s legal father. Father #1 above was the legal father of his daughter and thus could control the situation. He signed-off on his daughter’s birth certificate when she was born. A biological father can also become a legal father by filing a parentage/paternity case in court. Those are the only 2 options. The Chicago Family Law Group, LLC can help you file your case! We can help you help your kids! Divorce can be expensive. Divorce can be messy. Divorce can be emotionally draining.But divorce can also be quiet. Divorce can be easy. Divorce can be quick. Divorce can be (relatively) painless. Divorce can be a new start. 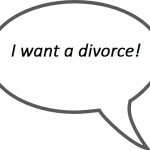 How peaceful or how hostile your divorce is depends on several factors; however, there are two main factors that can determine the route your divorce will take: (1) whether you and your soon to be ex-spouse are willing and able to be agreeable to the terms of the divorce settlement, and; (2) the lawyer(s) each of you chooses. The Settlement– If you have already agreed on how things are divvied up, you are well on your way to a quick and easy divorce. If you haven’t agreed on all of the terms of your divorce but want to keep your divorce from becoming heated, seeking out a mediator to assist you in the settlement can often help resolve things quietly. Your attorney will review the mediation agreement to make sure it is fair and then draft the marital settlement agreement based on what you agreed on. Your attorneys can also negotiate the property settlement. The Right Fit– Some divorce lawyers are aggressive and antagonistic by nature and will stir the pot when it isn’t necessary: this can increase frustration and the cost of your divorce. In a high conflict divorce an aggressive demeanor can be beneficial. It is important to find a family law attorney that will be a good fit for your case: a divorce attorney that will listen to you and your goals and then proceed in that approach. You wouldn’t hire an interior designer that couldn’t design to satisfy your individual style. Likewise, you shouldn’t hire an attorney that isn’t the right match for your style of divorce. An initial consultation with a divorce attorney will help you determine if the fit is right. At Chicago Family Law Group, LLC, we offer FREE initial consultations so that you can determine whether we are the right fit for your divorce or family law matter before you spend a dime. http://familylawlifeline.com/2012/11/29/custodyvisitation-for-parents-in-the-armed-forces/#comments Thu, 29 Nov 2012 14:27:39 +0000Peterhttp://familylawlifeline.com/?p=745 Have you been deployed or recently received orders to be deployed in the U.S. Armed Forces?Illinois law has recently been changed to grant members of the armed forces higher priority and greater convenience in addressing their family law cases, plus, substitute visitation is also possible. A parent who is deployed or has orders to be deployed shall receive expedited priority in being set for hearing on custody and visitation matters. A deployed parent can also testify by telephone, audiovisual means, or other electronic means if he or she is unavailable to appear. The ability to designate a visitation substitute may be the best new benefit. A court may allow a parent who is deployed or has orders to be deployed to designate a person who is known to the child to exercise reasonable substitute visitation. So grandparents, siblings, aunts/uncles are now great options to care for your child and maintain family ties when you’re deployed overseas. Any temporary modification to a custody or visitation order made during a parent’s deployment must be for the purpose of providing “reasonable accommodations necessitated by the deployment.” The temporary order shall specify deployment as its basis and must also provide for 1) custody or reasonable visitation during leave if it is in the child’s best interest, 2) appropriate visitation by electronic means, 3) reservation of the court’s jurisdiction to change or terminate the order once the parent’s deployment has ended, on terms and conditions that are in the child’s best interest. There was a photo blog post this month on the Huffington Post entitled, “Funny T-Shirts: 13 Ridiculous Shirts To Wear Post-Split“. 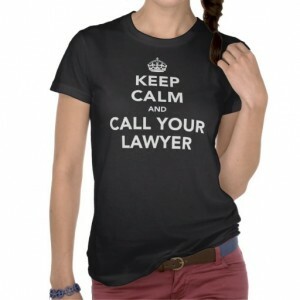 One t-shirt was a variation of the World War II era saying, “Keep Calm and Carry On” that read, “Keep Calm and Call Your Lawyer“. Pretty sound advice for a humorous t-shirt. Don’t let your Ex provoke you into an argument or fight, verbal or physical. Keep calm, walk away and call your lawyer. If there are kids involved, you may need to respond before you can talk to your attorney. Try text messaging or emailing but remove the accusations and negativity from your responses. Keep the tone neutral and provide the factual information needed to make an informed request or response. Remember, escalating the conflict into a shouting match or accusation battle will not solve anything. Keep calm.